Being a naturally creative person, Terri always has her eyes open to the beauty that surrounds her. It's a practice and skill that she has developed over her years and years of creative work. Sometimes inspiration is like a shy cat who will only come up to you when it's ready and then pounces on you at unexpected times. This happened recently while Terri was on the way to a family session. While driving up the winding and speedy Bronx River Parkway, Terri was taken by inspiration right around the Scarsdale Train Station exit. Weird place for inspiration to show, right? Might be weird for someone who hasn't dedicated their life in a creative field, but not for Terri. She knew that sometimes things aren't what they seem and that through her lens she knew she could take advantage of the beautiful area right off the highway. While arriving to the family's house, she was a little trepidatious about suggesting such a spot for a family session but having worked with this family before, she had an inkling that they might be open to such a suggestion. 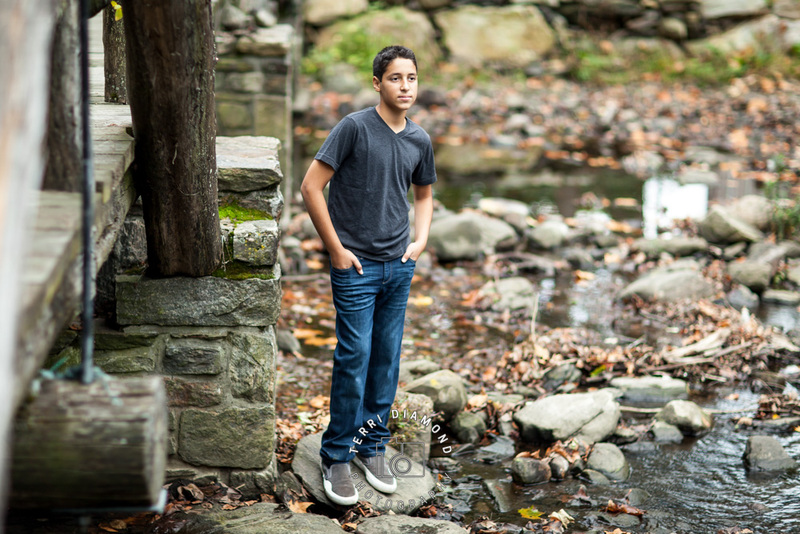 Terri has worked with the Cohen family for a few years: designing holiday cards, shooting family sessions and documenting their son's Cooper's Bar Mitzvah last year. 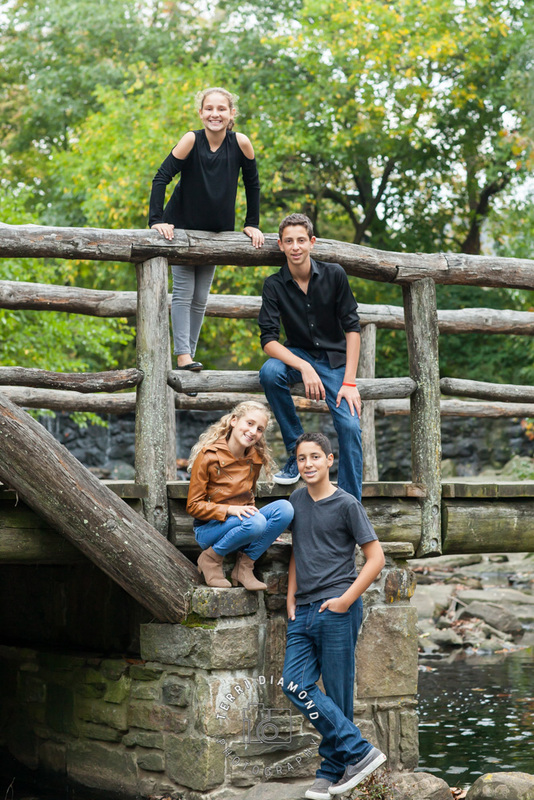 This time she was shooting the family session as apart of Carson's upcoming Bar Mitzvah. Having a good rapport with them, she became excited to share her idea with the family. Once at the house, Terri went straight to work helping the family coordinate on outfits. Suggesting neutrals, she made fast work of the family's wardrobe and swiftly had them in good shape for portraits in under a half hour. Terri proposed the area she had seen on her drive up to Stephanie; as her husband and the kids swapping their clothes out. Guess what! Stephanie had the same idea and had been hit with the same inspiration while driving by that exact spot! Talk about synchronicity! 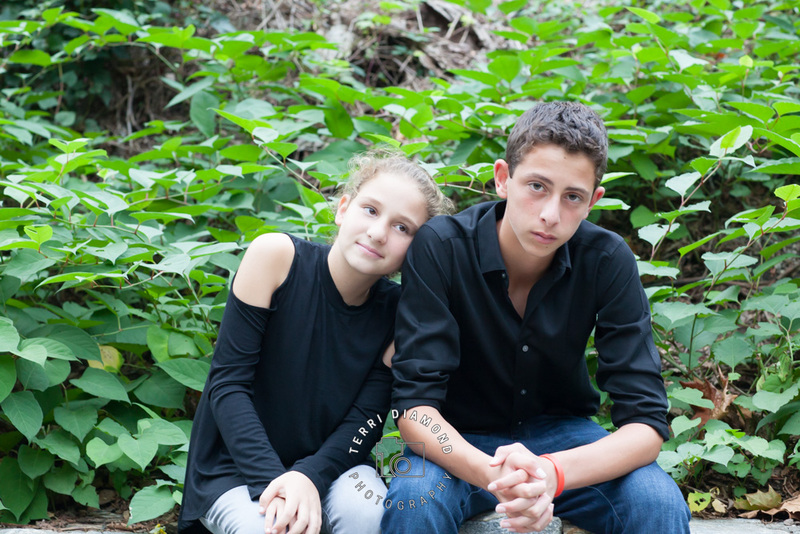 Take a peek the Cohen family shoot and the little slice of inspiration that spoke both to Terri and Stephanie.